On September 15th, Openlands and Spektral Quartet partner for a very special event. We will gather together among the trees and wildflowers of the Openlands Lakeshore Preserve, with the whisper of Lake Michigan waves as our backdrop, for the world premiere of Tonia Ko’s new work, Plain, Air. Written expressly for this space and inspired by the elements that will surround us during this outdoor experience, Plain, Air pulls our focus toward the exquisite sounds of our natural environment that often go unnoticed. Spektral Quartet creates vivid conversations between the exhilarating works from history and those written this decade, this year, or this week. Captivating audiences of all persuasions with the “ability to cast a magic spell” (New York Times), Spektral is known for creating seamless connections across centuries, drawing in listeners with charismatic deliveries, interactive concert formats, an up-close atmosphere, and bold, inquisitive programming. 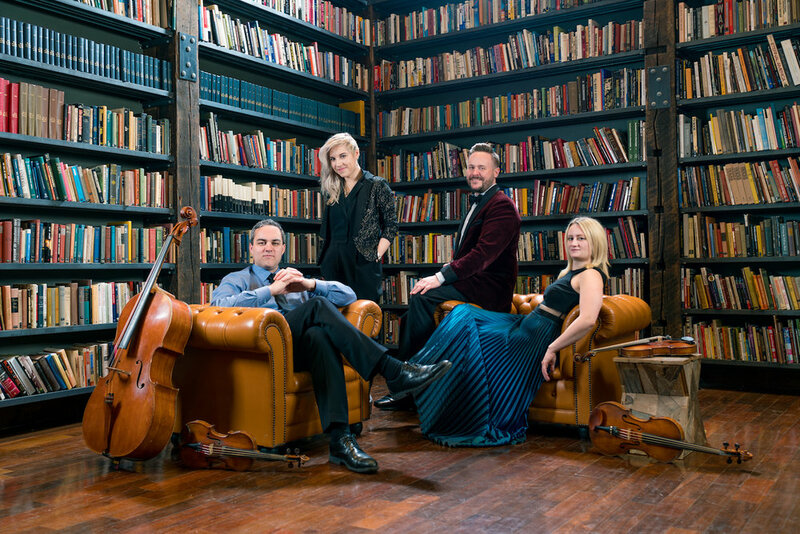 Spektral Quartet’s 2018-19 Chicago season invites audiences to relish in the world around them – in often unexpected ways – through imaginative new works and venues. New commissions by Miguel Zenón, Tonia Ko, David Fulmer, Samuel Adams, Katherine Young, and Christopher Trapani are presented alongside works by Ludwig van Beethoven, Franz Schubert, Pauline Oliveros, Franz Josef Haydn, Fanny Mendelssohn, and Hans Thomalla to illuminate our shared experiences and relationships – as well as those we have with the natural world and urban landscapes that surround us. 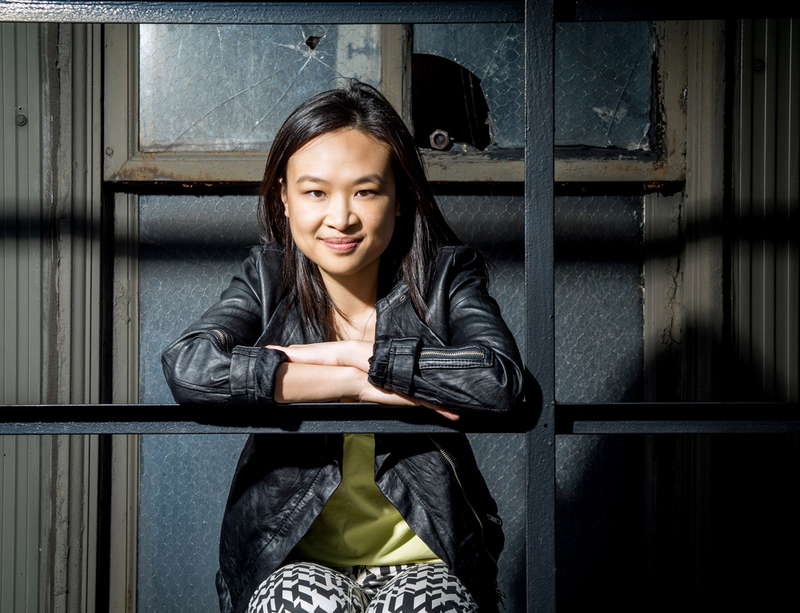 Winner of a 2018 Guggenheim Fellowship Award, composer Tonia Ko has been lauded by The New York Times for her music's “captivating” details and “vivid orchestral palette.” As a composer, she has been commissioned by leading soloists and ensembles, and performed at venues such as Carnegie Hall, Kennedy Center, and the Tanglewood, Aspen, and Santa Fe Chamber Music festivals. Tonia has received grants and awards from Chamber Music America, the American Academy of Arts and Letters, BMI, Composers Now, International Alliance for Women in Music, as well as residencies at Copland House, Djerassi, Pocantico Center, Kimmel Harding Nelson Center, and Atlantic Center for the Arts. She served as the 2015-2017 Composer-in-Residence for Young Concert Artists. Her interests in texture and physical movement play into a larger theme of interdependency between visual art and music. No matter how traditional or experimental the medium, Tonia's creative work reveals a core that is at once whimsical, questioning, and lyrical. Recent presenters of her work encompass a broad range of the contemporary music scene, including the Minnesota Orchestra, oboist Olivier Stankiewicz, Chelsea Music Festival, Cantata Profana, and Tenth Intervention. Tonia's burgeoning practice as a visual artist have sparked interdisciplinary connections— most prominently “Breath, Contained”, an ongoing project using bubble wrap as a canvas for both art and sound. Out of this concept, she also develops interactive installations and sound sculptures, most recently supported by the Studios at MASS MoCA. Beyond the concert hall, she has collaborated with performance artist Kale Roberts, Periapsis Music and Dance, and Perry Chiu Experimental Theatre. Born in Hong Kong and raised in Honolulu, Tonia earned degrees from Eastman School of Music and Indiana University. She holds a DMA from Cornell University, where she studied with Steven Stucky and Kevin Ernste. In the fall of 2018, Tonia will begin a post-doctorate fellowship at the Chicago Center for Contemporary Composition at the University of Chicago. Founded in 1963 as a program of the Welfare Council of Metropolitan Chicago, Openlands is one of the oldest metropolitan conservation organizations in the nation and the only such group with a regional scope in the greater Chicago region. Openlands has helped protect more than 55,000 acres of land for public parks and forest preserves, wildlife refuges, land and water greenway corridors, urban farms, and community gardens.